The target audience of this blog post is for people who are absolute beginners to advanced finds. Many new users find advanced finds intimidating, but through this post, I hope to prove that anyone can make purposeful advanced find queries in a matter of minutes. I recommend by starting from whatever entity you are looking to do an advanced find on. In my example below, I am doing an advanced find on Accounts—specifically, I want to get a query of all of my accounts based out of Minnesota. Next, we need to review the columns in our query. By default, the Active Accounts view does not have a “State” column, so we need to add it. Start by clicking Edit Columns, then Add Columns, and select Address 1: State/Province, and click add. Once the column is added, single click it, and use the arrow keys to position it wherever you want it in the column order. Double click a column header to adjust the column width and then click OK when you are done making changes. At this point, you are ready to see your query. Click results, and you should see all records that meet the designed criteria and interact with the records same as you would any other view, including exporting to excel, etc. Finally, if the advanced find you created is one you want to view frequently, you can save it, and it will be added to your personal views. Want to see these processes in action? Watch our quick introduction videos, Microsoft Dynamics 365: Introduction to Advanced Finds Part 1 and Part 2! 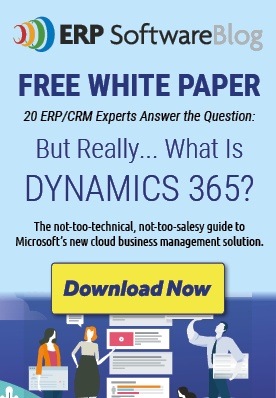 Very helpful article for people who are using Microsoft Dynamics 365 for the first time and don’t know about the advanced searches. Microsoft Dynamics 365 system provides great business management solution and many software like TRIMIT are based on this. So it is necessary to have complete knowledge to make things easy and fast. Hello can u explain me? Multiple inheritances possible or not, if not how can we overcome that?